As the 2013-2014 US college application season comes to a close, hopeful high school seniors will be getting admission decisions. As they get their yeses and noes, it's important to begin looking ahead to the upcoming season and for the rising seniors and juniors to see what they can do differently to make better applications than their older brothers and sisters. Through the years, I've seen many Filipino students go through the US college admission process. Invariably, they make the same mistakes year after year and without proper and qualified guidance, they will continue to make these mistakes year after year. These mistakes lead to unnecessary stress during the application process and ultimately more admission denials than necessary. If you are applying to US colleges, it is important that you recognize some of these mistakes and eliminate them from your own application. Starting late. This is easily the biggest mistake most students make. Here in the Philippines, we are used to waiting until well into senior year to begin thinking about and applying to US colleges. It is not TOO late to begin senior year but make no mistake, you are late and there is a price to be paid for your lack of punctuality. So if senior year is already too late, when should students start thinking and applying to US colleges? Ideally, thinking about whether or not to go to the US for college can begin as early as sophomore year (10th grade or second year high school). This will come as a shock for most students. Why so early? College is still more than two years away! One very simple reason: in some schools (Xavier comes to mind), there is an option for some third year students to do the International Baccalaureate (IB) program. While the decision whether or not to do IB should not solely rest on whether or not you want to study abroad, it can be a factor. Completion of the IB program is NOT a requirement for admission to US colleges but it is for admission to Canadian, UK, or Australian schools. If you are thinking of Canadian, UK or Australian schools, the IB Diploma is a must or you will need to take an additional foundation year in Canada, Australia, or the UK before you can proceed to a four year university in that country.. For US colleges, the IB Diploma is highly desirable for admission in the most competitive universities. If the IB Diploma is not an option at your high school, you can probably get away with starting as late as mid-junior year bu avoid delaying much longer. But more importantly, students who start late don't have the discernment and reflection time needed to make good decisions about the college application process. Should you even go to begin with? If so, what kind of schools should I be looking at? What kind of student or learner am I and what can particular universities offer and what can I offer to particular universities? Starting early also conveys many advantages: it allows you to put together a testing plan so you can take the required standardized tests at a leisurely pace allowing time for re-takes if necessary. It also allows you to plan your summer vacations so you can visit prospective colleges, a very important part of creating a good college list. Ignoring fit. What is fit? It is simply whether or not the university you are interested in fits you as a learner, as a student and as a person. Is this college going to help you in not just getting a job but in becoming the person you want to become? A lot of students don't consider this because for Filipinos, the concept of university fit is foreign to us. We go to colleges here based on the reputation of the schools. We go to Ateneo because it's supposed to be really good in business and it's really astig to be thought of as “Ateneo material”. We go to UP because it has engineering or medicine. We go to La Salle because it's near our house and it's not as mayabang as Ateneo and UP is so....what's the word? Radicalized? I hear that word a lot but I'm not sure what it means but there it is. But we don't know much about US schools except for what we hear and from what we read in publications like US News and World Report's rankings on the Best Colleges in the US. If you go simply by rankings and name recognition, it's easy to go wrong. So do your homework. Get proper guidance to help what universities are a good fit for you. While you may prefer to ignore fit, I can most assuredly tell you that the US colleges won't. When evaluating your application, they will ask a key question: are you a good fit for their school? Unlike most colleges around the world, American universities are not interested in simply populating their classrooms with students with the best grades. While those are important too, equally key is whether or not you will blend well with your classmates: are you going to contribute to class? Are you going to be a leader? Will you be an interesting person to talk to in the cafeteria or in the dorms? Or are you going to spend your four years holed up in the library just studying? Putting together a freshman class is much like putting together a championship basketball team. You can't have all shooters on a basketball team: you need rebounders, shot blockers, tough defenders, good passers. You also need good leaders and those who will be a positive locker room presence. So when you are putting together your college application list, think about that. Are you a good fit for the college you are applying to? Overestimating your chances at elite universities. I once talked to a student who was turned down at Penn. He was really and truly upset. He said that it wasn't fair that he was turned down and he saidt he had great grades and good recommendations, test scores, and extra curricular activities. Plus the IB Diploma. I was sympathetic....until I actually saw his grades. He was somewhere just above a B average. In IB language, a lot of 5's and a 6 or two. While his grades were good, they were not even close to what Penn and the Ivies were asking for. I could tell his application got a five minute look and landed on the "reject" pile almost immediately. To be academically competitive at Penn, he needed 7s and maybe a 6 or two, in other words, somewhere closer to a straight A average. This happens all the time. Parents think that their kids are such great students that it's a shock that Harvard would turn them down. The tiniest bit of research should have told this student the cold, hard truth: that an application to Penn would most likely result in a rejection. He should have looked at less competitive universities which may have been a better academic fit for him. Poor kid. Stupid kid. I'll finish up with four more reasons in the next post. Thanks for reading! At about this time of the year running to the end of the month, US colleges and universities will be releasing (or will have released) their admission decisions for Regular Decision candidates. Unfortunately, for more than a few students they will be getting some rejection letters in the (paper and electronic) mail. It's natural to wonder why we were rejected by a college that we want to go to so very badly. Why are so many excellent candidates rejected by the most selective universities? (notice I didn't use the phrase "top universities"). To put it briefly, there are just too many applicants for not nearly enough seats. In many ways, this is the whole story right here. At places like Stanford, Harvard and Princeton, there are so many applicants and so few seats that (significantly) less than 10% are admitted. This, despite the fact that 80% of their applicants are academically qualified to attend. They can't admit this 80% simply because there is no room. And, I would also argue that they don't WANT to admit 80% of their applicant pool because that would diminish the perceived prestige of their institution. So if 80% are qualified, how do these universities decide on which students are in that privileged 10% (actually less than 10%)? Ah ha! You have hit the jackpot question. How indeed? Well, it isn't easy. They sift through stellar grades, perfect board scores, swooning recommendations, and Pulitzer prize winning essays to find the MIX of students they want for the freshman class. They don't always want the highest grades...they want those who will come and make a contribution to the community---whatever that means. But how do the students know what that entails? They really can't. 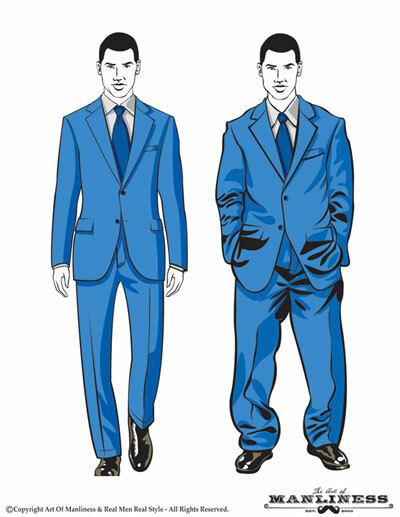 They can only be themselves and present themselves in the best way possible in their applications. If it ain't good enough, then fine...just move on. 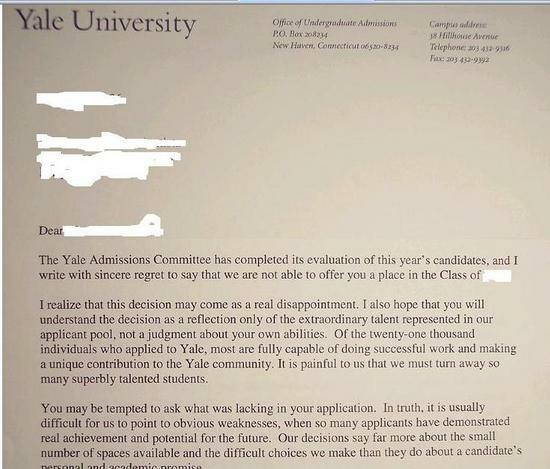 Don't take college rejections personally. They are NOT a judgment on you or your accomplishments thus far. You can have the best grades, great leadership, stellar scores and still not get in. But you will get in SOMEWHERE. And if you did your homework and planned your college list appropriately, you will end up at a college you love and a college who will love you back. Harvard's rejection letter ends with a particularly poignant statement:: remember that success in life comes not from the name on your diploma but from your drive and character. Very true! Nice way to end a rejection...which is good since Harvard sends so many of them! For parents, college rejections may be particularly hard. We tend to see our children as reflections of ourselves: when they are rejected, it feels like we are being rejected as well. It's important that we parents must model appropriate behavior: celebrate your child in both his acceptances...and his rejections! Remember that the college application process is not a plebiscite on how well we did our jobs as parents....an admission to Stanford does NOT mean we were great parents nor does a rejection mean we were poor ones. As a parent of a college applicant myself not too long ago, I remember this particularly well. My son applied to six colleges and he went 4 for 6... 4 acceptances and 2 rejections. One of the rejections stung a bit although he knew that school was a bit of a "reach" school for him. I was disappointed too. I took my disappointment out in an email I sent to the admission office. Did I complain and berate them for their mistake in not admitting my son? No. For this particular college, I knew the name and email address of the person who read the international applications. She also took the time to interview my son when we visited in the summer. In the email, I said that although we were clearly disappointed in the result, I was very grateful to them for the time they took to consider my son's qualifications and that I knew she advocated for my son in committee. I further said that I knew that their job was an extremely difficult...and thankless....one. She replied and was very happy...and grateful...to receive my note. Later, I told her where my son ended up going to college and she was happy that he found a great place to be and thanked me for letting her know where he ended up going. Is there a way to avoid rejection letters? No, not really. If you plan your college list correctly, you will receive acceptances AND rejections. It's important to notice the phrase "if you plan your college list correctly". I cannot overemphasize how very very important it is to do your homework and put together a solid college list which should include colleges that are in your academic range. Don't apply solely to Ivy schools if you only have a 3.5 GPA and sub-2100 SAT scores. Talk to a qualified college counseling professional (like me!) and avoid the fate of this poor student. In my previous post, I wrote about why I thought the appeal of the Ivy League was a sham. I wrote that the student culture which focused on outcomes and grades was toxic to a true learning and intellectual environment. In this week's installment, I hope to address a couple of other issues: namely, do the name and prestige of the Ivies help their students get better paying jobs more quickly? What about the Ivy connections among the power elite of business? And also what about entree into graduate and professional schools? Your degree is not a proxy for your ability to do any job. The world only cares about — and pays off on — what you can do with what you know (and it doesn’t care how you learned it). What about law school admissions, medical school, business school and graduate school admissions? Do the Ivies top those? Okay, if you think I'm going to say yes, then you obviously haven't been listening. NO! In a study conducted for his book Looking Beyond the Ivy League, Loren Pope, former New York Times education editor, examined eight consecutive years of Medical College Aptitude Test (MCAT) results. Caltech topped the list (no surprise there!) but Carleton College outdid Harvard, Muhlenberg topped Dartmouth and Ohio Wesleyan beat Cal Berkeley. Fully 61% of Harvard Law freshmen got their bachelors outside the Ivy League. For those more academically inclined, it might be worth noting that tiny Earlham College in Indiana (enrollment: 1200) outdid Brown, Duke, Northwestern, Penn and Vassar in percentage of graduates who eventually got a Ph.D. Closer to my own heart, Reed trails only Caltech and Harvey Mudd College in percentage of graduates who get a doctorate in mathematics. Okay, so you shouldn't go to the Ivies then. The Ivy League is nothing but "a wretched hive of scum and villainy". I certainly made it sound like that over the past two weeks but that's certainly isn't the truth either. The point I'm belaboring here is that don't fall for blind Ivy worship. Don't think this is the only place worth going. 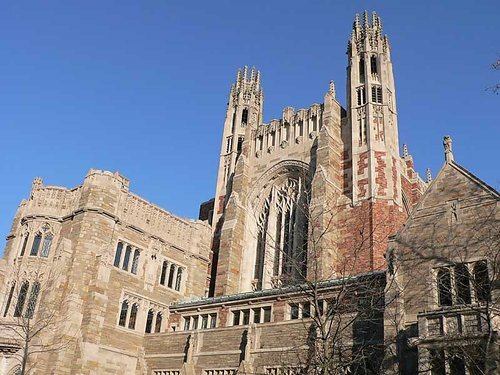 As I've said many times in my previous posts on my blog, there are many many places that will offer you an undergraduate education just as good as...if not better...than the Ivies. You just need to open your eyes...and mind...and look.